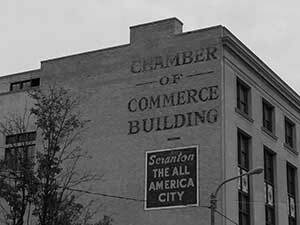 Economic development activities are implemented by The Scranton Plan, the marketing affiliate of The Greater Scranton Chamber of Commerce. Built upon a platform of business attraction, sustainment and growth, the mission of The Scranton Plan is to create and retain jobs for Lackawanna County. With the help of two Chamber affiliates, the Scranton Lackawanna Industrial Building Company (SLIBCO) and the Lackawanna Industrial Fund Enterprises (LIFE), The Scranton Plan is the driving force behind job creation and retention in Lackawanna County. Supporting relocating and expanding businesses, The Scranton Plan serves as a community development partner throughout the entire site selection process. 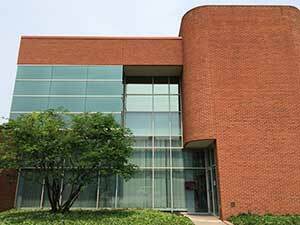 The Scranton Lackawanna Industrial Building Company (SLIBCO) is a wholly-owned subsidiary of The Greater Scranton Chamber of Commerce and is organized as a not-for-profit industrial development corporation. SLIBCO, the national prototype for the community development corporation concept, has been responsible for the construction of 16 business parks and more than 3,000 acres, has completed seven built-to-suit and renovation projects totaling more than 1.2 million square feet and has spearheaded more than $1.94 billion in community investment. The Lackawanna Industrial Fund Enterprises (LIFE) was formed to serve as a non-profit community banking arm, funding SLIBCO development projects. The Scranton Plan, SLIBCO and LIFE team have enjoyed great success assisting relocating and expanding businesses to Lackawanna County and have won national awards for its economic development efforts.